Buy Graduation Tassels and Honor Cords. Direct from Manufacturer. Great Prices as low as @ $0.55 ea ! Quick Delivery! our tassels looks great at graduation year. 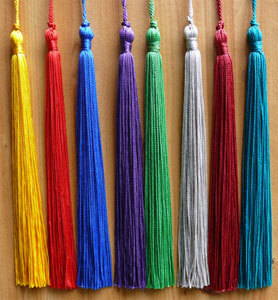 we have approx 30+ different colors of tassels. 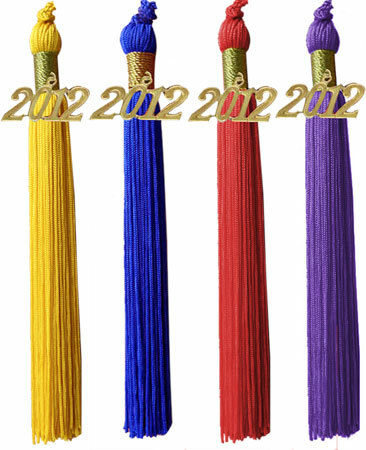 Buy single color, double color, three color, multi color tassels from our store. When you decided to visit their website, you will foresee a wide range of their products that will suit with your taste, desire and budget. Excellent customer satisfaction and customer service is the top priority of Graduation Product1 and this is one of the reasons why they strive hard and work together to make sure that they can meet and exceed the expectations, needs, desires and demands of all their clients. Apart from this, Graduation Product1 has their own purchasing process that is developed, designed and intended for purchasing agents and students who want to avail their products. In addition to this, they are very proud and willing to work with each level of educational process that includes institutes, career colleges, trade schools, vocational schools, colleges, academics and universities.